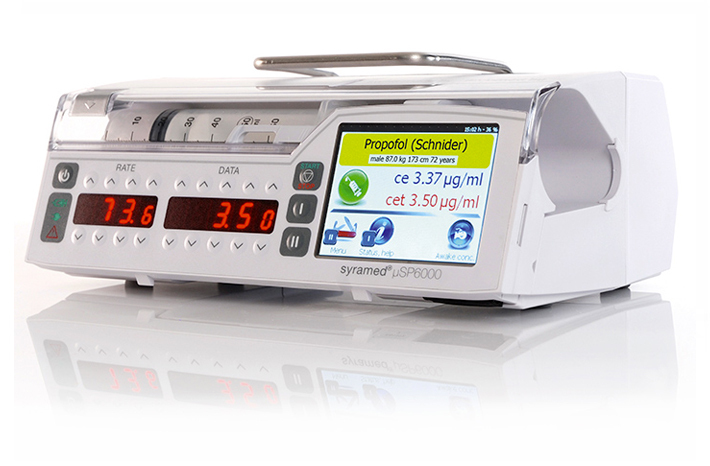 The Total Intravenous Anaesthesia Pump has a key feature: its touchscreen! Discover all the advantages offered by arcomed’s infusion pumps. The touchscreen on the infusion pumps from arcomed include shortcuts on the home screen. Tactile display and shortcuts are the two main characteristics appreciated by healthcare professionals: they quickly and easily find the function they need. The display design is easy and simple. Instead of having a complex menu or search function, arcomed’s pumps come with icon-based navigation. The shortcuts allow doctors and nurses to intuitively find the required function, improving time efficiency. Besides being very fast and intuitive, arcomed’s screen pumps are customizable. We tailor our devices to the needs of a specific care unit or healthcare professional. And of course, they can be used with gloves on. arcomed’s pump are also safer. Firstly, the agility of use saves a lot of time (reducing action and handling timing and improving patient safety). Secondly, the icon and color-based navigation extends time, again improving patient safety. 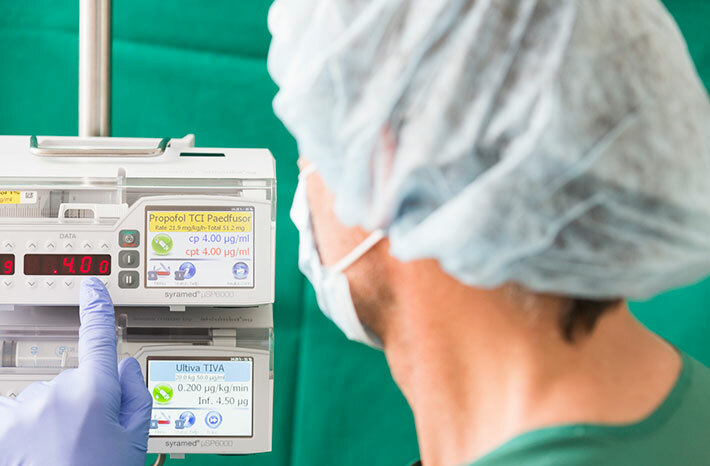 Ultimately, the touchscreen on arcomed’s infusion pumps for anesthesia are a calming element in stressful situations: – helps you do things correctly and efficiently. Plasma and effect site algorithms. Marsh, Schnider and Minto algorithms. Supported drugs include: Propofol, Alfentanyl, Sufentanyl, Dexmedetomidine and Remifentanil. Toggle between 2% and 1% Propofol. Wireless, automatic patient data transmission between pumps. BMI control for overweight patients. The IV infusion pump by arcomed includes a wide range of features that improve the pumps’ handling and operation by healthcare staff. Data transmission between pumps is performed wirelessly and automatically, which optimizes space and time. Also, IV infusion pumps by arcomed come with big screens, really easy to read. Additionally, the pumps include extra features such as standby function or BMI control for overweight patients.